I’m over at Rally the Reader today talking about Lizzy Speare and the Cursed Tomb, my thoughts on Marlowe vs Shakespeare and how if Marlowe hadn’t died, it’s possible Shakespeare wouldn’t have been THE Shakespeare, and how Cole wound up rooming with a crazy like Dmitri. Also a bit of sneak peek on what’s next for Lizzy. What adventures are in store for Lizzy in the next book? I’m actually working on the next book right now which is tentatively called Lizzy Speare and the Hall of Hecate. Hecate is the Greek Goddess of Magic and her hall contains every magical object in this history of myth or legend. Looking for the Vorpal Blade that killed the Jabberwocky? It’s there. So is King Arthur’s sword. Once the Hall of Hecate is robbed and all that magic is released, Jonathan realizes that Marlowe’s plans don’t end at destroying Lizzy. They begin there. And all of Mythkind are in trouble. We’ll see the return of some old friends and we’ll get to meet a few new ones. And few other Muses. Jonathan isn’t the only show in town, you know. And we’ll get to go to Hagsmoor Copse, the land of the satyrs and find out more about Cleo and the war with the harpies. 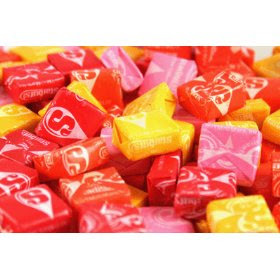 And to Lee and Melissa for the interview (and the very awesome review) my Starbursts of Thanks!